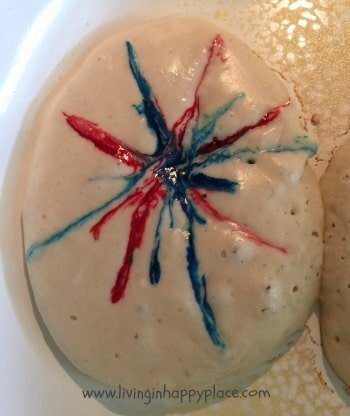 Patriotic Pancakes! 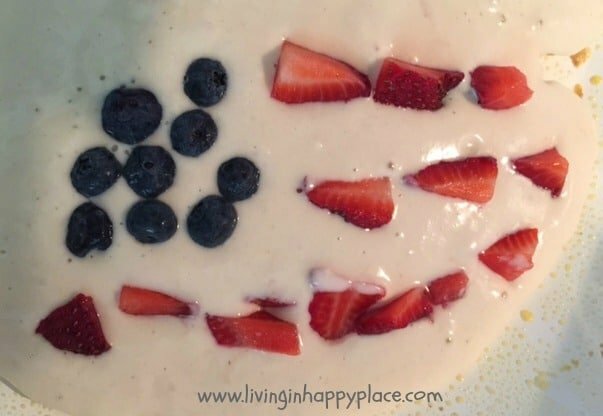 Have a fun holiday breakfast with these easy pancakes! 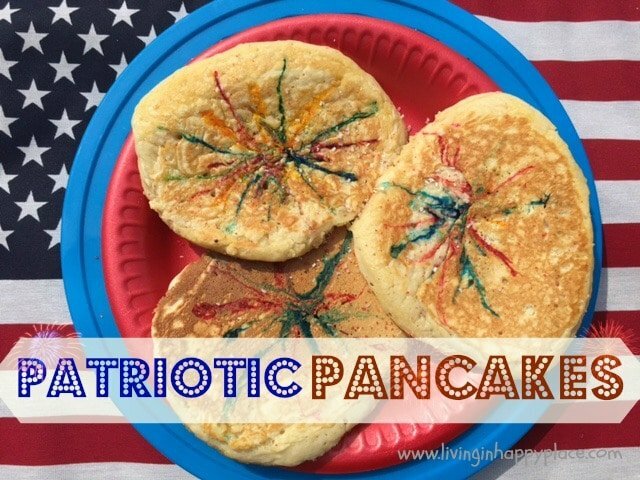 Fun and Easy Holiday Patriotic Pancakes! They couldn’t be easier to make- I promise! There is really no perfect way to draw a firework so be creative! 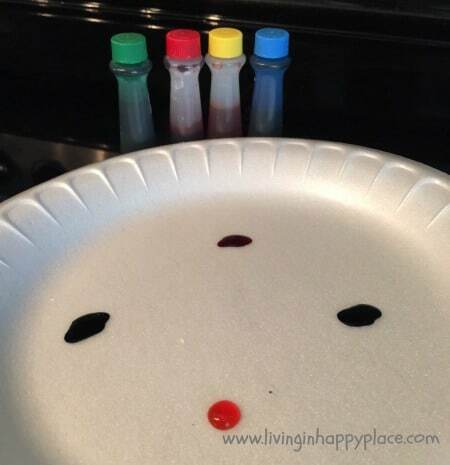 Use your child’s favorite colors, shapes, add sprinkles- anything fun! I just kept drawing lines out from the center to create a “firework”. That’s it! 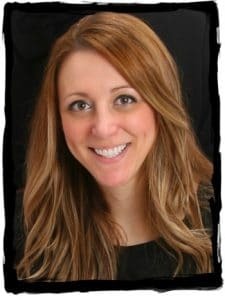 An easy, fun breakfast! Maybe you just started a new tradition. Now you can get ready for the rest of your celebration. 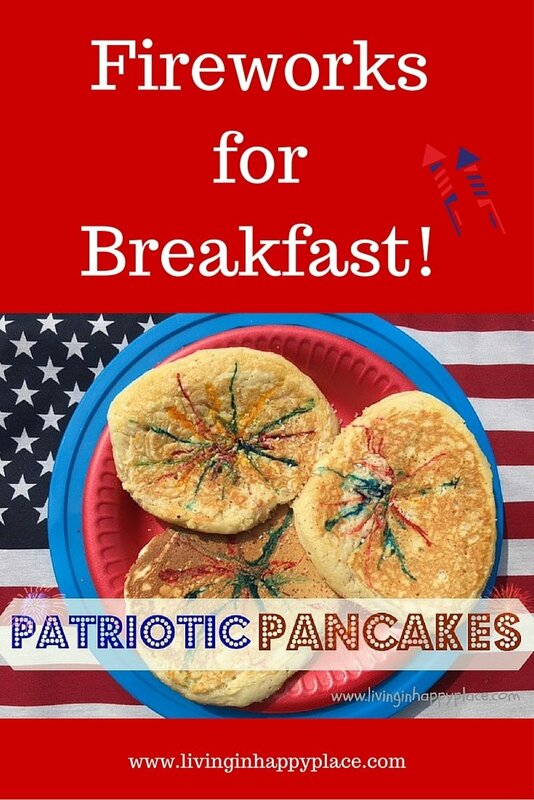 Start your holiday breakfast with a bang! 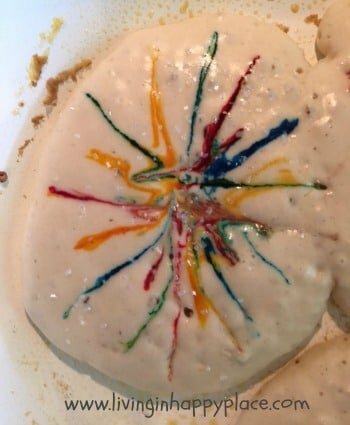 Fireworks pancakes!